My partner and I fished the 3rd and final JSQ on April 16th at Lake Gaston. We ended up finishing 4th out of over 25 teams, moving us from 4th to 2nd in the overall state rankings. 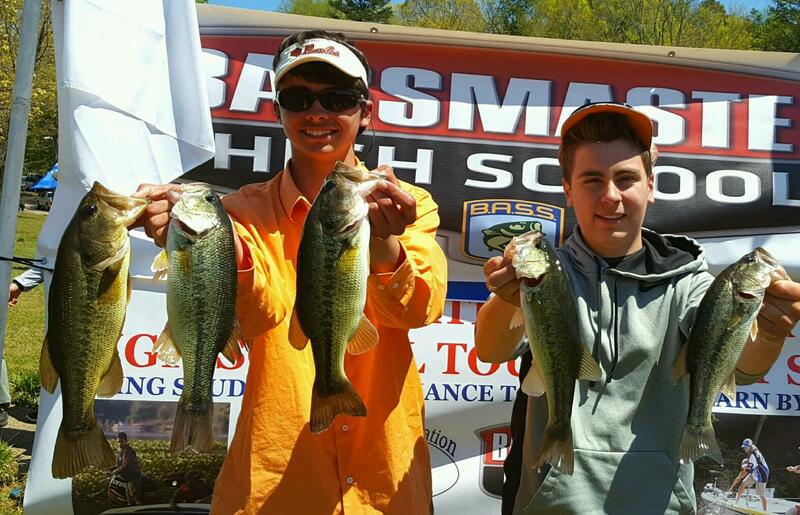 The top 15 teams go to the Junior State Championship which is at Buggs Island Lake this weekend! I have never fished there before, but I hope I can figure something out while pre fishing on Friday. It's a lot to ask for but we are really gunning for first or second place, as the top 2 places in the JSC go to Nationals, and that would be an experience like no other. In our tournament at Gaston, there were 35 high school teams fishing (not all of them fishing against us) and 160 boats in an FLW BFL tournament fishing as well, so the pressure on the fish was excruciating and the boat traffic was even more so. I was happy that we managed to scratch out 5 for just over 7lbs, I think there were only 3 limits brought in by the high school teams. We caught two fish from beds that I found during pre fishing, and the other three on wacky rigs in the back of a cove where I found them cruising during pre fishing.